Restaurants need text message marketing because it is a very quick, inexpensive and direct way to engage their customers. Nowadays, there are a multitude of restaurant options so customers definitely have more choices. What this means to your restaurant is that you need to work harder to attract the business into your doors. Text message marketing is a great way to have a restaurant stand above the competition. It’s is very helpful when it comes to keeping your loyal customer base. You can easily let your clients know about the following: Changes in restaurant hours, any new people joining the staff, any special events being held at the restaurant, menu changes, today’s specials-anything novel that will draw customers in. That is one of the biggest and best advantages of text marketing –it is so very versatile. And, since you can reach the recipient at a designated date and time it is even more beneficial in helping get people through your doors, even on short notice. Text messaging can also be helpful when it comes to getting new customers. A restaurant can come into contact with these people possibly via signing up at festivals, county fairs, or even people who are just walking by the restaurant. This is a great way for clients to get to know what a restaurant offers. This familiarity can help draw them into the restaurant. Oftentimes a restaurant will offer a freebie or something of value in exchange for signing up for a text marketing list. Multimedia marketing can make a difference. Text messaging, in combination with Facebook, Yelp, Foursquare, Merchant Circle and other online sites, makes it easier to find and visit even the most obscure restaurant. And, with text marketing you can easily add videos, photos and even audio to enhance the message and get more viewers. With a text marketing list you can easily increase patronage into your restaurant during slow periods with a freebie or other type of awesome special. Have a contest or promotion coming up soon? Text messaging is a great way to alert customers, and you can give those who are signed up for your list first access to the fun. Have a new restaurant opening? Why not spread the word via text? Text marketing is so easy whether you have 10 names on your list or 10,000. It works for restaurants of all sizes, and takes just seconds of time to create and send a message. And, it is customizable so that you can reach the intended recipient at the right times for your restaurant’s needs. It is very affordable to create a text marketing campaign. 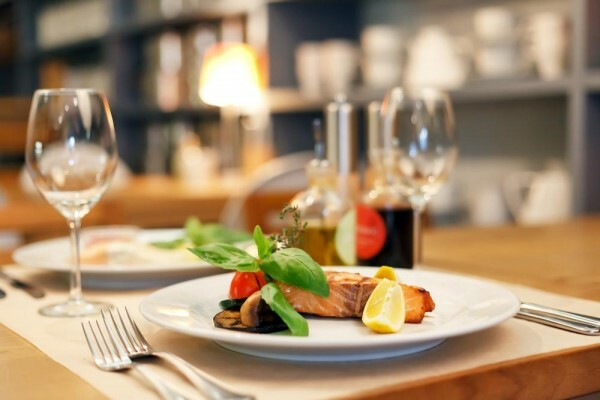 Many smaller restaurants lack the same kind of advertising dollars as larger restaurants, so this is especially beneficial for those people. Restaurants who use text marketing can get to know their customers on a more personal level, and this can do much good for your facility. You can send surveys and polls, interact with customers and more. Improve the menu, improve your service and more. There are far more benefits offered to restaurants who use SMS marketing to reach out and touch someone. Restaurants who use SMS marketing are taking a great step in the right direction of building a solid base of customers. There are a plethora of text marketing benefits, as you can see, so it is only beneficial that you take the steps to initiate a text marketing program into your restaurant’s marketing plans today! It really works.